Our autumn concert, given in association with the Kathleen Ferrier Society, is to be a performance of Mendelssohn’s Elijah in Blackburn Cathedral on October 24th. This year we are delighted to be celebrating the 20th Kathleen Ferrier Annual Bursary Competition for Young Singers. A ‘local lass’ – she lived in Blackburn for twenty years from the age of two – Kathleen Ferrier has a special significance for Blackburn Music Society. Having launched her singing career in 1937, her association with the choir began in 1943 when she sang the first of four annual performances of the Messiah. 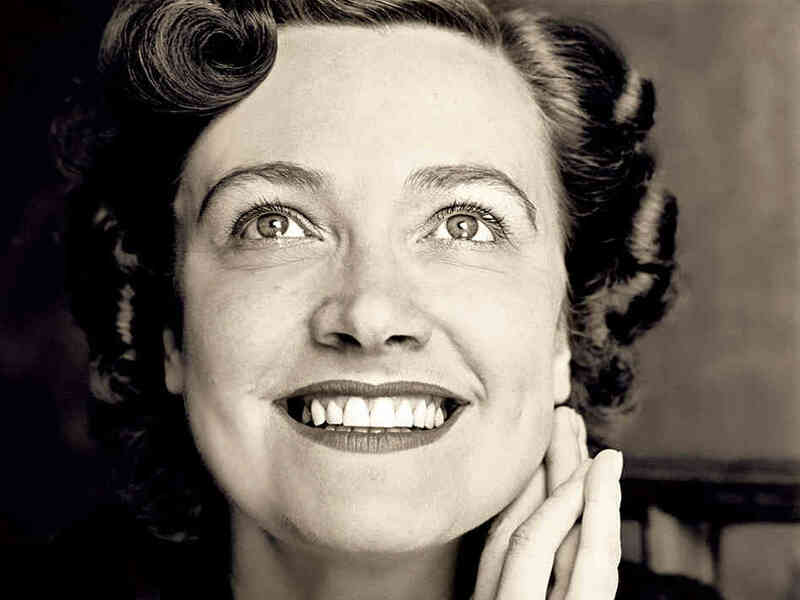 The Kathleen Ferrier Society’s Annual Bursary Singing Competition provides financial support for outstanding young singers. All the soloists in Elijah are former prize winners. We are proud to be associated with this worthy cause and the concert promises to be a momentous occasion. 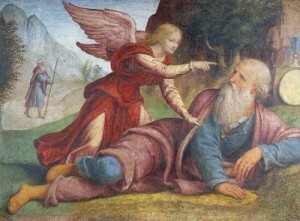 Although Mendelssohn had long wanted to compose an oratorio about the Old Testament prophet Elijah, he couldn’t find a librettist prepared to tackle the subject. 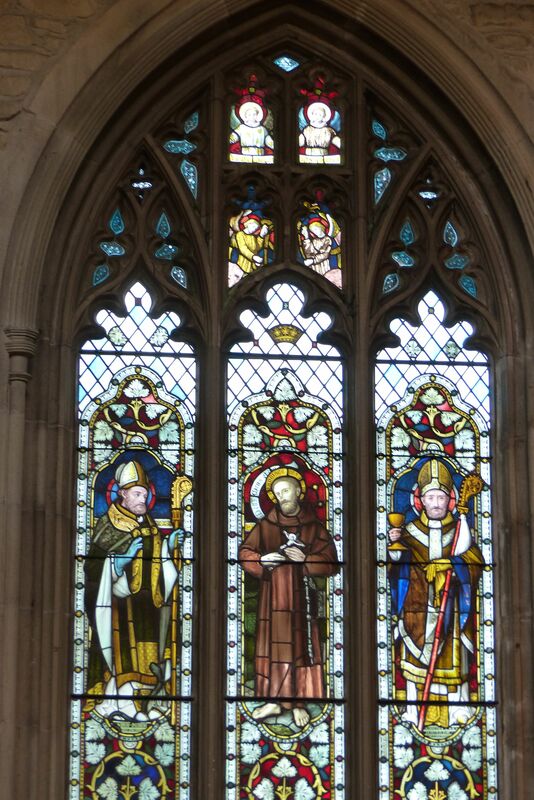 In the end, prompted by a commission from the Birmingham Festival, he wrote most of the libretto himself, and Elijah was first performed in 1846 to an audience of two thousand people. This week we have been joined by a group of young music students from Puglia, Italy. 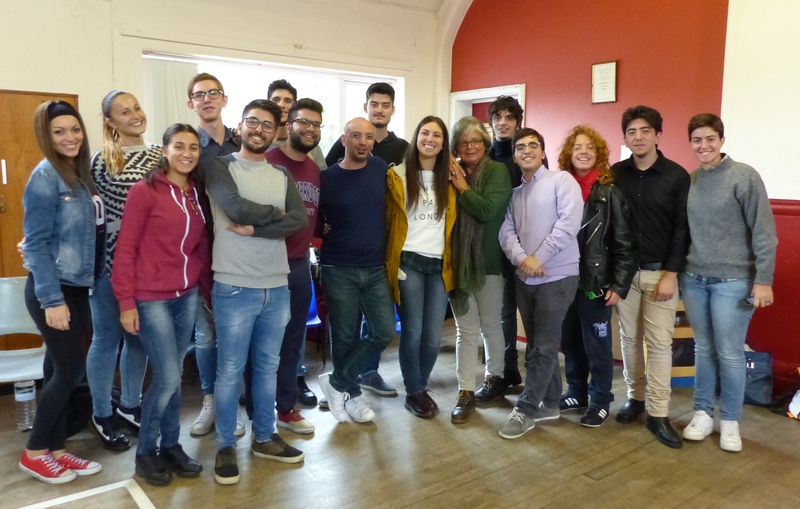 Singers, instrumentalists and trainee conductors, they are in England on an internship with our conductor Tom’s orchestra, the Piccadilly Symphony Orchestra. They are learning about everything that goes into putting a full orchestra on stage. They are also shadowing Tom to see what the work of a conductor entails and have come along to BMS to get a taste of an English choir in rehearsal. 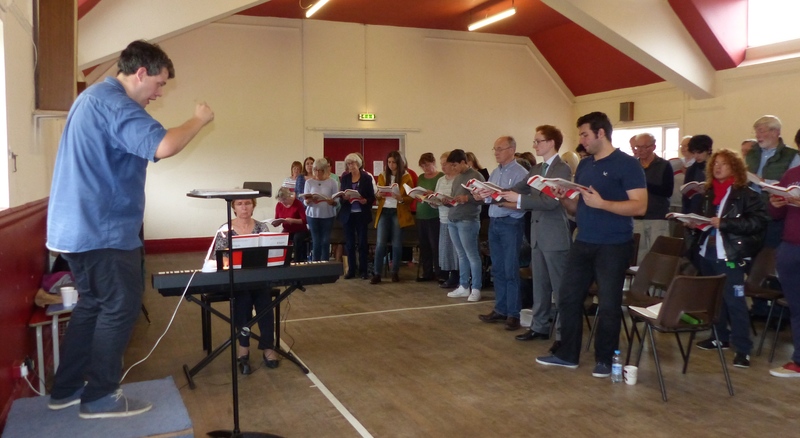 On Saturday, members of the choir, together with our Italian visitors and a dozen singers from elsewhere, gathered in Salesbury Memorial Hall for an intensive day of work on Elijah, led by our conductor, Tom and accompanied by Joy, who played up a storm on the keyboard. Tom had invited along the talented bass Thomas D. Hopkinson to be our vocal coach for the day. Our guest led us in a vigorous physical and vocal warm-up, culminating in a four-part round in Swahili. Thoroughly warmed (and woken up! ), we embarked with Tom on the business of the day, plunging into the second half of the work and the intricacies of ‘Woe to him!’. A shock to the system so early on a Saturday morning! But it was invigorating and set the tone for the rest of the day. Tom kept up the pace but it was great fun. Who would have imagined that members of BMS could march, swing and clap with such abandon as we did inTom H.’s lively afternoon warm-up. 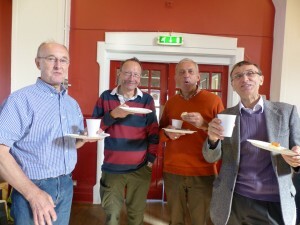 A highlight of the day was the tea and coffee break and the extensive spread of tempting cakes. Our Italian visitors obviously agreed, judging from the way they piled up their plates! Altogether the workshop provided a very useful opportunity to get to grips with Elijah. But it was so much more than that. We received some excellent tips on vocal technique. Tom Hopkinson was an impressive coach, showing us how to achieve particular effects. And our Tom stressed the importance of listening to one another, pointing out that despite being a large choir, we needed chamber choir skills in order to achieve the best performance. red lorry, yellow lorry, lavender lorry. The prophet has come to this rural idyll. and, at noon, a wedding across the road. A buzzard is mewing, in sight of the sunlit moors. It was never going to be easy – to put on a decent performance of Elijah with only eight evening rehearsals plus a day’s workshop. So…did we rise to the challenge? I think we did! A wonderful evening of music and singing at beautiful Blackburn Cathedral: such a great pleasure to be back once more, warm, comfortable and welcoming, and what a night we all had. I wonder, has Hollywood ever contemplated making this tremendous Biblical epic into a film? It has everything to warrant it – famine and starvation, drought and despair, joy and excitement, idols, false gods, retribution and forgiveness – a widow, her orphaned son and a baying multitude. In short, the Bible at its best. Why would one go anywhere else to find a script? I read recently that Elijah used to be as popular as the Messiah and, might I respectfully suggest, here Mendelssohn gives Handel a run for his money. First the choir, who held it all together under the expert direction of an excellent conductor. How the singers enjoyed themselves too, breathing as one, utterly attentive to their leader, using all their expert training and experience to bring out the excitement and urgency of the work without getting too wayward. It takes great skill to hold all the excitement in check whilst at the same time assisting the soloists through the epic to its conclusion. The choir was able to show us in sound what the difference was between all the emotions and the singers were very skilful in this regard. When, initially, the listener hears the wonderful Recit. 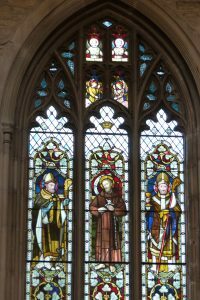 and Air, ‘What have I to do with thee, O man of God?’ and ‘Give me thy son’, he might be tempted to say that it is the Bass’s and the Soprano’s night, it is such a wonderfully emotional piece but, as with all these wondrous works, it is a combined effort and to compare or take sides with any part of the whole would be invidious. The Soprano and the Bass were indeed in magnificent voice, surely never better, but the Tenor too, was expressive and sincere, his voice filling the spaces with powerful musicality, paired with the Mezzo invoking us to ‘Rest in the Lord, wait patiently for him’. It was all we needed to do – go back to the words, add incomparable music, an experienced, well-trained choir and orchestra, a good conductor and brilliant soloists, light the blue touch-paper, stand well back and let the fireworks commence. 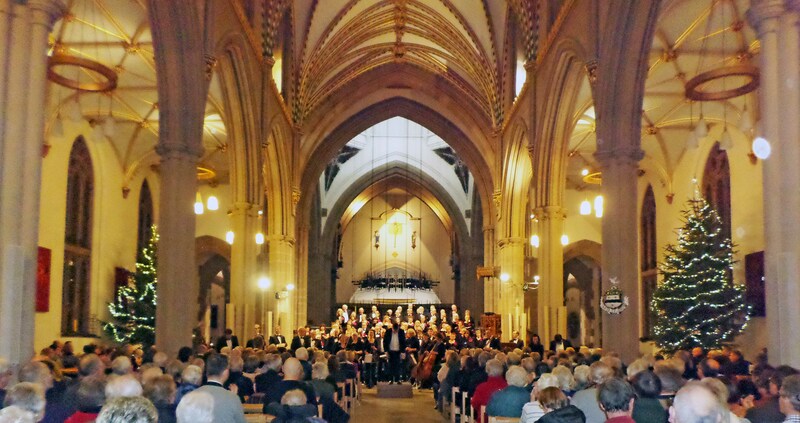 On an extremely stormy night, a surprisingly large audience fought through wind and rain to hear the this year’s performance of Handel’s Messiah at Blackburn Cathedral – and it was worth their effort – both for quality and drama! Tenor soloist Lawrence Thackeray set the scene for the performance with a powerful and dramatic opening recitative and aria which was matched in quality and conviction by the opening chorus. This was his second visit to Blackburn and it was a pleasure to welcome him back. Unfortunately, it soon became obvious that regular and popular Bass, Louis Hurst, was struggling with a throat infection and despite his best efforts, he had to withdraw from the performance at the interval. From the opening notes of the air “Who shall abide”, returning Mezzo-Soprano Emma Stannard captivated the audience (watch out for her as her voice matures) and the duet with Soprano, Lorna Rushton, in “He shall feed His flock” will stay in my memory for a long time. All four soloists ensured that the message of the libretto was given with conviction and clarity. Blackburn Music Society has a long tradition of performing Messiah but tonight the members of the society gave one of their best performances. As they sang “Surely” all I could think was “WOW”. The quality of their sound was outstanding and their discipline and control was a great tribute to the inspiration of their conductor, Tom Newall, and accompanist, Joy Fielding. In his welcoming address The Dean of the Cathedral reminded us that the Messiah is a meditation as well as a musical experience. The story-telling skills of both soloists and choir gave life to the meaning of the words. Oh – I nearly forgot the drama !! As a result of the withdrawal of the Bass soloist, conductor Tom Newell stepped into his role after the interval. It was over 10 years since Tom had sung the role and nobody blamed him for not attempting the air “Why do the nations”. This was a true demonstration of the adage that “the show must go on” – the audience loved him and gave him a special round of applause. Thank you for a memorable evening. Can we have the same next year…. but without the drama ! Last night some of the choir took part in the annual East Lancashire Hospice Light up a Life Service at Blackburn Cathedral. Conducted by Sam Hudson and accompanied by our own Joy Fielding, we sang Rutter’s Nativity Carol and his arrangement of The Twelve Days of Christmas. Other musical contributions were provided by The Male Barbershop Quartet who gave a spirited rendering of Go the Distance and a delightful choir from Salesbury CE Primary School who sang One World and Rejoice With Us This Christmas. Altogether it was a moving and uplifting experience; with its poignant blend of spiritual celebration and personal remembrance, it was a fitting start to the Christmas season. 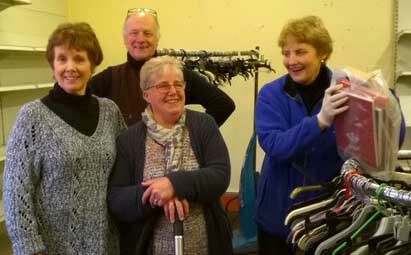 This week BMS ran a charity shop in aid of Choir Funds. As always, the shop was very popular with people queuing outside from 9am on the first morning. This is not surprising as there are always some very good bargains to be had and this year was no exception as there were many valuable items donated. For members of BMS who manned the shop it was an opportunity to pick up some bargains themselves, practise their mental arithmetic, but most of all to experience the camaraderie of sharing in this worthwhile venture. As always we raised a substantial amount of money for choir funds. For several reason therefore is it a pity that this was probably the last time we shall be able to run the shop as the Council are planning to sell the property. 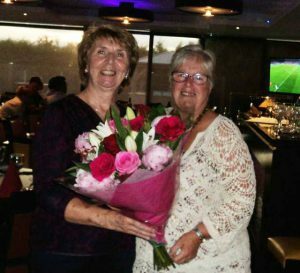 We are very grateful to Margaret Mcallester who has organised the event for many years and worked tirelessly to make it such a success. We’d also like to thank Adrian Wilson, who every year has not only manned the shop nearly every day, but also dealt with the money – his wonderful ability to create order out of chaos has been a great asset. And finally thanks also to all the regular helpers, both choir and non-choir members, without whom the shop could not have opened. On Saturday a small band of BMS sporanos and altos travelled to Bolton to take part in a concert with Bolton Symphony Orchestra in celebration of Shakespeare’s 400th Anniversary. We had been invited to take part as our conductor, Tom, was conducting the orchestra for the first time. The orchestra was on fine form, giving spirited renderings of Tchaikovsky’s Overture Romeo and Juliet, Waltons’ Suite from Henry V, Nikolai’s Overture The Merry Wives of Windsor, Dvorak’s Overture Othello and the finale which involved us: Mendelssohn’s Incidental music to A Midsummer Night’s Dream. The musical numbers were interspersed with of extracts from Shakespeare performed by students from the Liverpool Institute for Performing Arts, two of whom sang the soprano solos with us in the two women’s choruses. 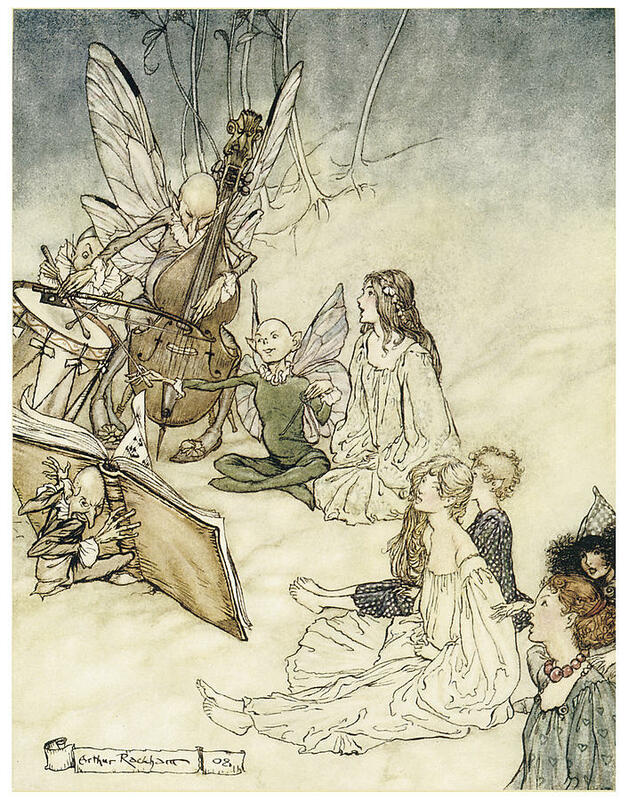 Thanks to Tom and to Bolton Symphony Orchestra for this chance to express our inner fairies! Saturday’s concert drew a large audience who were obviously attracted by a programme of popular choral music. Borodin’s Polotsvian Dances provide an exotic scene to the conclusion to Act 2 of the opera Prince Igor and the music is extravagantly orchestrated. 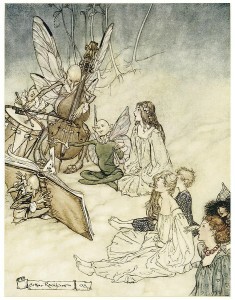 The “orchestra” for this concert comprised two pianists, Joy Fielding and Sam Hudson. From the opening notes, the audience was transported to the vastness of the Russian Steppes and, under the guidance of their Music Director, Tom Newall, the choir gave a thrilling performance which brought everyone to the front of their seats. 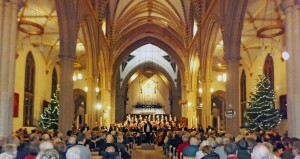 The joyful and exciting music filled the Cathedral and earned a justifiable standing ovation. How do you follow such an opening number? Well, you provide something completely different. The Percussion Ensemble, Stickfinity, under the leadership of Helen Davis, then took centre stage. They completely changed the mood as Janet Fulton started with an improvised Meditation on the Marimba which led naturally into a performance of Evelyn Glennie’s A Little Prayer. For many in the audience, the sensitive and soothing tones of tuned percussion instruments were a new experience. As a complete contrast, the final piece before the interval was Xylophonia by George Green – a virtuoso piece which would have dislodged any cobwebs from the roof space. The second half of the concert was taken up with Carl Orff’s Carmina Burana, probably the most frequently performed choral work since the 1960s, made popular by the memorable surfing advert for “Old Spice” aftershave. Tonight’s soloists were Heather Heighway (Soprano), Tom Asher (Baritone) and Joseph Buckmaster (Tenor). The choir of Blackburn Music Society was joined by the choirs of St Christopher’s CE High School, which also provided the childrens’ chorus. The “orchestra” was augmented by the members of Stickfinity. The choir started off very confidently with “O Fortuna” and quickly settled into the complicated rhythms and dynamics of Orff’s score. A late entry in “Floret Silva” caused a minor hiccup, but this was soon forgotten as confidence grew. Most importantly, everyone seemed to be enjoying themselves as they sang! Special mention should be made of the pupils of St Christopher’s who made a very special contribution to the performance. Tom Asher, who had taken over the Baritone role at short notice, proved to be a very commanding soloist, ably switching between the various characters he was asked to portray, and Joseph Buckmaster was a soulful roasted swan. Was it a good concert? Judging by the smiles on the faces of the audience as they left and the buzz of conversation, that final standing ovation was well deserved. Yesterday about 40 BMS Members participated in this well-attended service in celebration of the Patron Saint of England, St George. Accompanied on piano by Eric Millest, the Salvation Army Band leader, and directed by our Chairman Joy Fielding, the choir led the congregational hymns: Lord God of Hosts, When a Knight Won his Spurs, I Vow to Thee My Country and Jerusalem. A trio of excellent soloists drawn from the choir performed with commendable musicality: Soprano, Rachel Hoyle, and tenor, Danny Adams rendered the solos in the choir’s performance of ‘Steal Away’ arranged by Tippett and soprano, Laura Lenaughan, soared in Mozart’s ‘Laudate Dominum’. We were glad to support such a moving and uplifting event. 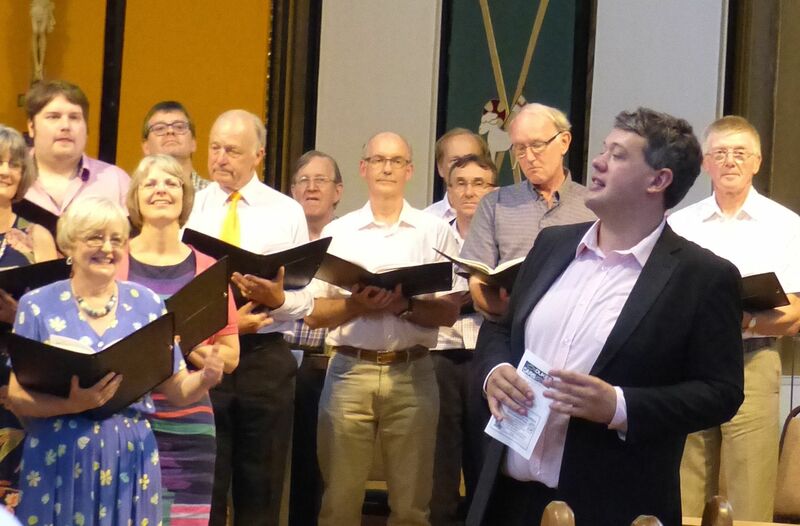 A change for the choir this week which saw Gill Fourie, Head of Music Outreach in Blackburn, taking over from our conductor Tom for the evening. In preparation for the Blackburn Festival of Voice concert on June 16th in King George’s Hall, Gill was taking us through the songs BMS will be singing along with the Sing Together Schools, Blackburn People’s Choir, Blackburn Cathedral Choristers, the Renaissance Singers and Blackburn and Darwen Brass Band. A change from our usual repertoire, the songs include ‘La Musica’ which invoves some hip-swinging salsa and One World which we will sing while conveying the words in I.S. (International Sign Language). This caused much hilarity last night as we tried to mirror Gill – arms shooting to the right when they should have been going left – but Gill was very patient and by the end of the rehearsal we were much improved. To be part of a mass event with hundreds of singers singing as one could be a tremendous experience. We’re looking forward to June 16th! A light drizzle did not dampen the spirits of the choir as they performed their ‘Songs of Summer’ at Plaisington yesterday afternoon. Nor did it deter the audience who flocked into the Priory to enjoy a glass of fruit punch and a varied programme with a distinctly American flavour. With Tom Newall conducting with his usual panache and Joy Fielding performing wonders on the keyboard, the concert opened appropriately with Sondheim’s ‘Sunday’.Then followed two tenor solos sung with sensitivity by our own Daniel Adams: Purcell’s ‘An Evening Hymn’ and Bernstein’s ‘A Simple Song’. Later solos were performed by singers drawn from the choir: bass Tom Young sang ‘In Summertime on Bredon’ by Graham Peel and his spirited rendering of Vaughan Williams’ ‘Vagabond Song ‘elicited cheers from the audience. ‘Someone to Watch Over Me’, also by Gershwin. Meanwhile the choir sang pieces ranging from the serious: two of Tippett’s spirituals from A Child of Our Time, and Lauridsen’s magical ‘O Magnum Mysterium’ to the jaunty: ‘Messing About on the River ‘arranged by our friend Samuel Hudson, not forgetting Samuel Barber’s lovely ‘Sure on this Shining Night’ and a medley from West Side Story in which Joy’s rendering of the fiendish accompaniment was magnificent. Finally the choir brought the programme to a close with an arrangement of ‘Somewhere Over the Rainbow’. Unfortunately the promised rainbow did not materialise, but at least there was a pause in the showers which allowed people to leave the Priory feeling uplifted and cheered and very likely humming one of the popular tunes they’d heard that afternoon. Last Thursday King George’s Hall rang with the thrilling sound of hundreds of voices singing together. BMS were honoured to be taking part in this momentous event that brought together choirs and musicians from across the area. The other singers taking part were Blackburn People’s Choir, The Renaissance Singers, Blackburn Cathedral Choristers and pupils from 12 of the 90 schools participating in the tremendously successful Sing Together Project. In addition we were joined by the magnificent Blackburn & Darwen Brass Band under the baton of Dave Hamilton. As well as singing five songs together, a most exciting experience, each group performed on their own. BMS contributed ‘O Fortuna’ from Carmina Burana and an arrangement of Somewhere ‘Over the Rainbow’. Every group was splendid, but a special mention should go to the the children whose renderings of ‘Electricity’ and’The Duel’ were delightful and to Blackburn & Darwen Brass Band who raised the roof with their ‘Goldcrest March’ and ‘Phoenix’. It was a fun, tune-filled evening and the audience were enthusiastic as one catchy number succeeded another, culminating, appropriately, in ‘One World’, where we signed the words in I.S. (International Sign Language). Truly an inclusive evening. Last night the choir marked the end of their season by joining together in a celebratory meal at Tiggi’s, in Clayton-le-Dale. Our thanks to Margaret Crane for organising the evening. At the end of it, our Chair, accompanist and phenomenal-driving-force, Joy Fielding, was presented with a bouquet as a small token of our gratitude for all that she does for the choir. What next? Of course, we have our new season to look forward to. Watch this space!